When Christian Freeman, a junior at Bishop Grimes Prep, registered for Sociology 101 at Le Moyne College, he wasn’t even sure what the subject matter was about. But the course fit nicely into his already busy summer schedule, so he figured he would take a chance. His gamble paid off. Not only did Freeman learn about the many aspects of human interaction, but he also gained valuable skills to help him navigate the college experience through The Loyola Institute, a unique program offering students from Bishop Grimes Prep and Bishop Ludden Junior/Senior High School a taste of the Jesuit college experience. 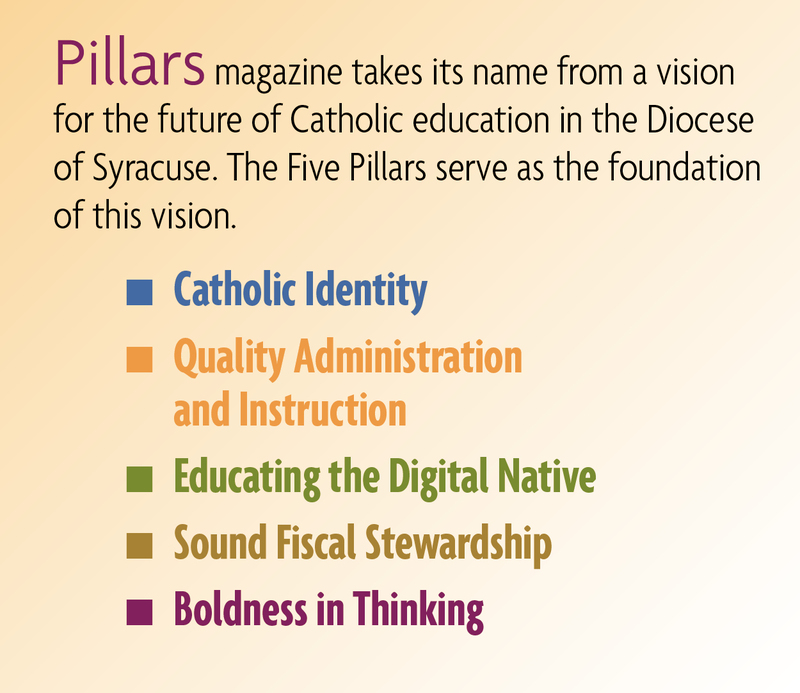 Established just two years ago, The Loyola Institute was created by Le Moyne College as an opportunity for students to earn college credits and scholarships, as well as a way to encourage students and their families to extend Catholic education in the Diocese of Syracuse through to the college level. The program requires commitment. Students who are accepted must successfully complete one of two non-credit skills courses prior to 10th grade; one undergraduate course during the summers preceding 11th and 12th grade; and two undergraduate classes during the 12th grade, which often must be completed outside of regular school hours. There is a fee for each course, but it is significantly discounted for Loyola Institute participants. At the completion of the program, participants will have earned 12 college credits. Those interested in attending Le Moyne College after high school graduation must go through the standard admissions process, but, if accepted, they begin their college careers with a semester’s worth of courses already behind them — a savings of $12,500. In addition, Loyola Institute students are eligible for $10,000 per year in tuition scholarships for undergraduate students. Credits also can be transferred to many other colleges and universities. After spending the summer of 2009 taking Success Skills for Critical Reading and Writing, Freeman attended the sociology class four days a week, two hours a day for most of the Summer of 2010. With another hour or two of homework each night, it was a significant commitment, especially since he was working part-time at his father’s landscape architecture firm and also trying to fit in some soccer, basketball and disc golf. Freeman isn’t sure what college he will attend after graduation, but he has a great appreciation for “the freedom of the college atmosphere,” and said he could “hang out at Le Moyne every day.” Right now, he is hoping to pursue a career in either writing, engineering or medicine, and, in preparation for that, Freeman intends to continue participating in The Loyola Institute until he graduates from Bishop Grimes Prep in the Spring of 2012. 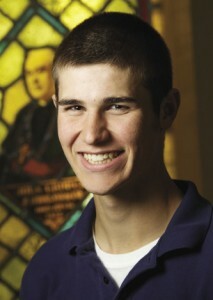 For more information on The Loyola Institute, visit www.lemoyne.edu. Caroline K. Reff is a free-lance writer and public relations consultant in Syracuse, NY.